If you want to share Public Wifi at home for friends and you don’t want to share the Wifi Password, you can setup cheap a Public Openwrt Wifi Router as Access Point. Keep this Firmware on Backup !!! Its useful if the Router hangs on Changes! Or if the File is PURGED cause version Change! Older sometimes more STABLE! 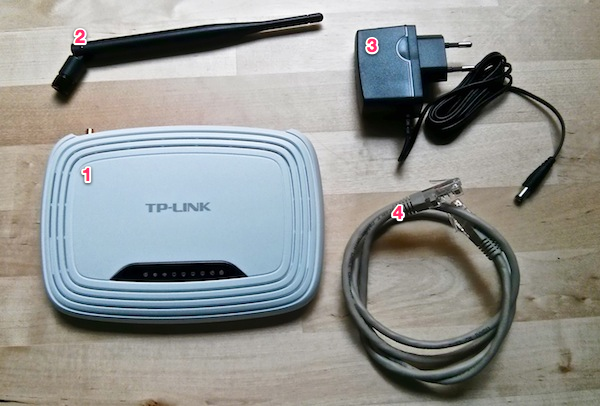 Power up the Router, login on TP-Link Web as admin, go Firmware Update, select the gluon-file, reboot and wait. Set SSH-Admin Password on Advanced first, select other Tabs on Advanced to Change first things you need. Remark Enable ” MESH on WAN or LAN” disabel MESH on WIFI which is default!!! This let 2 Routers stop meshing over Wifi if you like to use a Router at Office and a Router on the Garden without LAN Cables!! Select now Back to BASIC Tab and set Changes, like Geodata and Bandwith is useful, cause Geodata allow find next Router on a Meshmap! Save and Exit! Remark a “long HEX KEY” MUST be shown (red framed)!! If NOT reflash the Firmware cause SETUP FAILED!!! for FACTORY RESET! Test the Router after boot with Wifi Access, and Access on LAN 2-4!! LAN 1 offers only MESH Function. Emergency Access is possible by power on Router wait 60seconds then press RESET for min. 10 seconds, connect a PC to LAN2 and set IP 192.168.1.2 to the PC, the Router listen on 192.168.1.1 via telnet!! To do a Software RESET enter firstboot and confirm by YES, BUT this doesn’t work clean at my Routers, i reflashed successful and this is more clean. Go to the Meshviewer Map, look for your Router Name and pick up the IPv6 address, this Map is useful to check your Setup from Internet! The MAJOR Advance is that EVERY Router with this OS can taken to a OTHER Area, and he can CONNECT to EVERY other Freifunk MESH NETWORKs! Take the gluon-fffd-3-142-20151030150319-tp-link-tl-wr841n-nd-v8.bin a NON-SYSUPGRADE .bin File which seems more clean. Its found on the Freifunk Firmware Fresh Setupon a other path.